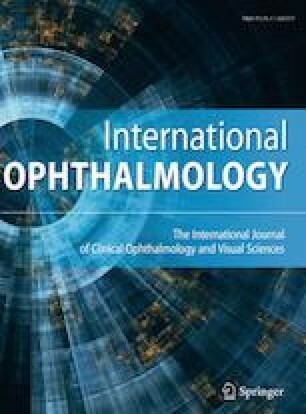 To determine the roundness of recipient corneal cuts after mechanical trephination and to investigate possible factors that could affect the corneal bed configuration in deep anterior lamellar keratoplasty (DALK). This study enrolled 85 eyes with keratoconus that underwent DALK. Recipient corneas were partially trephined using a new, unused, disposable Hessburg-Barron suction trephine. Photographs that best represented the recipient corneal cut were selected, and ImageJ software was used to evaluate the roundness of recipient bed. The effect of potential variables on the roundness of cuts was investigated using the univariate analyses. The mean patient age was 31.0 ± 9.0 years. The mean recipient trephine size was 8.04 ± 0.29 mm (range 7.5–8.50 mm). The recipient cut roundness was 0.922 ± 0.070, varying from 0.78 to 1.0. The roundness of the corneoscleral limbus (0.874 ± 0.074) which represented the shape of recipient cornea was the main predictor of the configuration of recipient cut (r = 0.84, P < 0.001). Other preoperative characteristics investigated were mean keratometry (P = 0.63), keratometric astigmatism (P = 0.18), central corneal thickness (P = 0.64), keratoconus severity (P = 0.37), and trephine size (P = 0.50) that demonstrated no significant associations with the roundness of cut. The recipient corneal cut after mechanical trephination may not be circular. The roundness of recipient bed was primarily affected by the roundness of corneoscleral limbus, indicating that the shape of recipient cut tends to follow the original shape of the cornea.